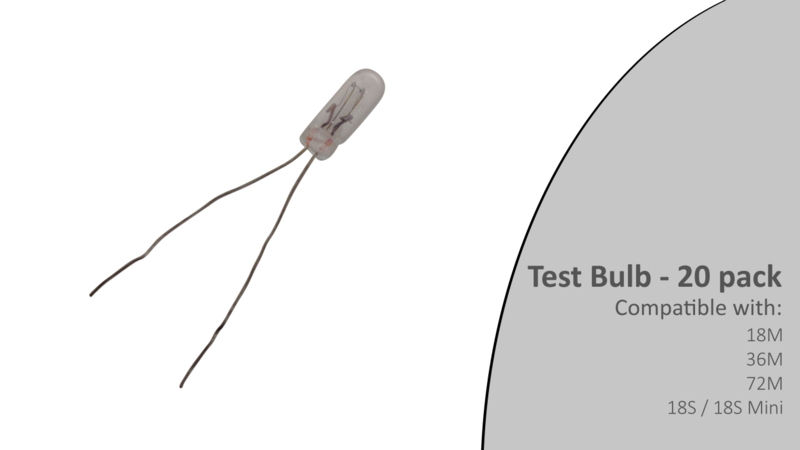 A test bulb is used to simulate plugging an e-match or talon into your module or slat. The bulb will display continuity on both the remote and module, as well as light up when a cue is fired. Used commonly during dry run tests, slat testing, and annual module checkups.